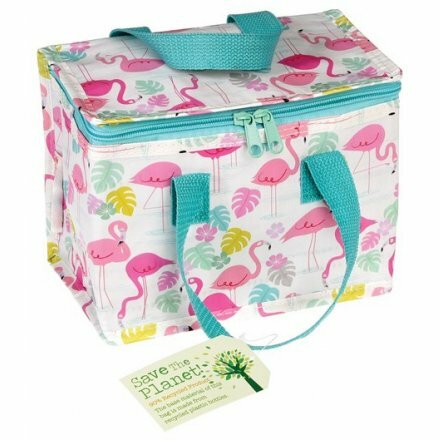 Ensure your break times are on trend with this insulated lunch bag featuring a pretty pink flamingo and leaf print. Made from recycled plastic bottles & wipes clean. Part of the popular range by Rex International.